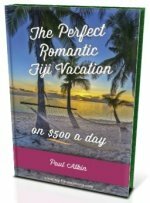 Want the perfect Fiji all inclusive family resort? Discover the unique Jean-Michel Cousteau Fiji Islands Resort, one of the finest resorts in all of Fiji! 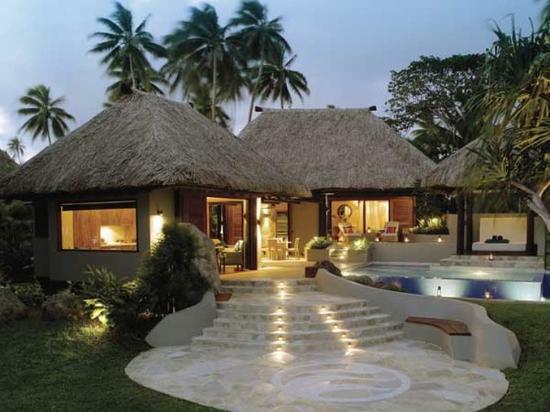 - Who does Couseau Resort Fiji suit? Who does Cousteau Resort Fiji suit? Suits families and couples wanting a relaxed all inclusive luxury getaway. It's especially great for families and is superb for divers. It doesn't suit those wanting a big glitzy resort. 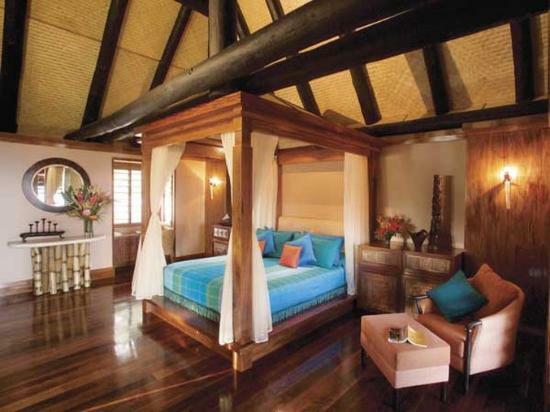 Jean-Michel Cousteau Fiji Islands Resort is located on the second biggest island, Vanua Levu. 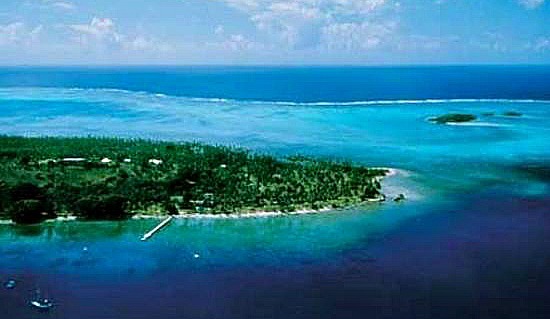 It's wonderfully positioned on beautiful Lesiaceva Point just 5 kilometres west of the pretty and tourist friendly town of Savusavu. For more information regarding domestic travel, visit our Transport in Fiji page. There are 25 spacious and comfortable bures and villas with traditional thatched roofs and handcrafted furnishings. To enhance tranquilitiness (don't think that's a word! ), accommodation are without TV's and phones, which is perfect for me. There are different bure styles from basic garden view to deluxe oceanfront. Reports are, you can't go wrong with any. All three daily meals are included in the all inclusive rates and dining takes place at it's restaurant overlooking Savusavu Bay and the swimming pool. There is a separate dining area for families with children under the age of 13. Special dining options such as, dining in your bure, special romantic dinner on the beach, and a picnic on a deserted island may not be included in the rates. The charming town of Savusavu is a must-do and is just a 10-minute drive from the Cousteau Fiji Resort. As you'd expect from a resort associated with the name Jean-Michel Cousteau, the diving outfit is excellent and attracts divers from afar. Diving is a paid activity. A day spa on the beachfront will sort you out for all your massages and treatments. Massages back at your bure are available, as is spa packages. 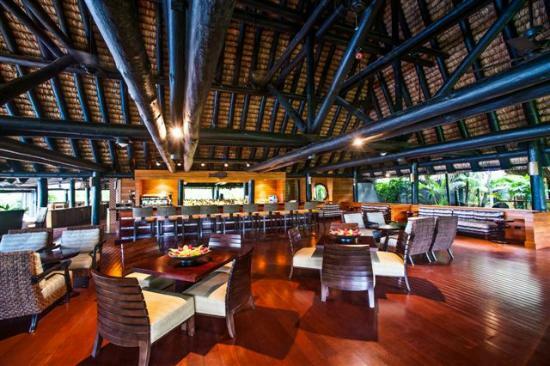 Yes, you adults will get the chance to relax courtesy of the Bula Club. The kids club can entertain the kids throughout the day and into the night, with separate programmes for under 5 year old's, and 6 to 12. Under 5's will be assigned a personal nanny from 8:30am-9pm. 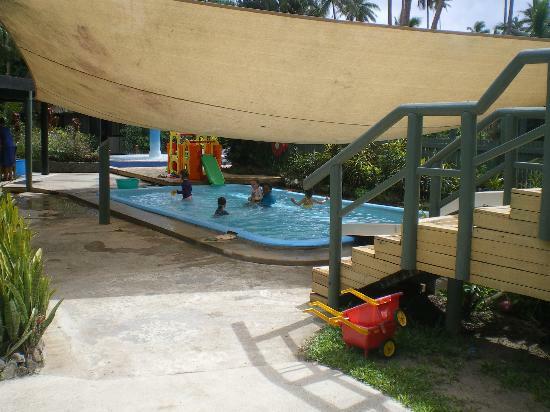 That means, you get some relaxation time to yourself, and even better, the kids club is including in the rates. 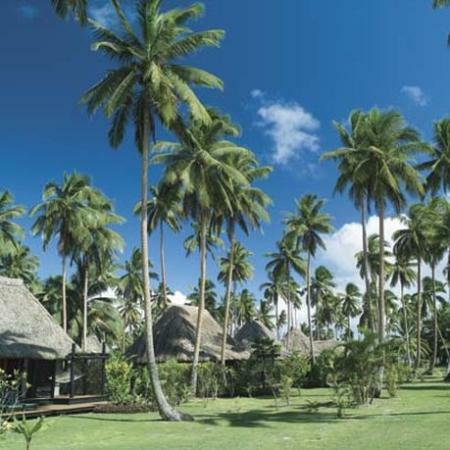 Visit it's site at http://www.fijiresort.com for more information.